Connections, we have many. Today has an overwhelming feeling of just that; it is a great opportunity to connect with another, not necessarily in the realm of love, but with anything, where making the right contact can move things forward in your favor. It could be with regard to a personal matter, but, for many of you, I have a feeling this energy is best used on the job front. The Moon will be in Libra, sign of relationships, balance, negotiation, and compromise. Use this energy wisely and weigh the input from both parties equally. 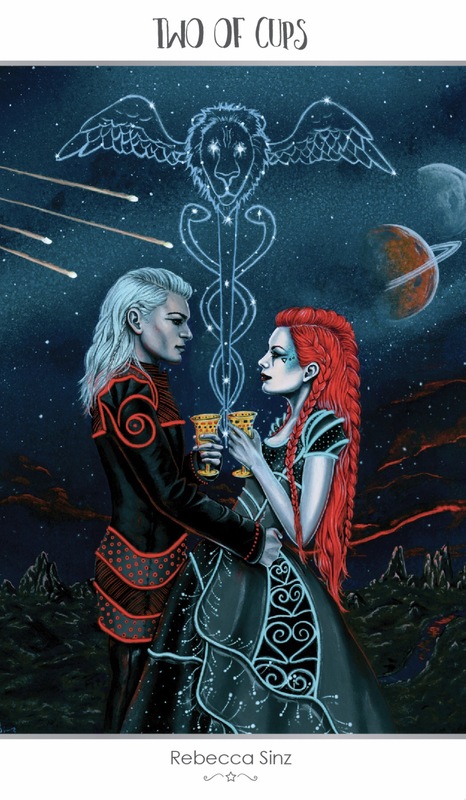 The 2 of Cups is often thought of as a card denoting a love connection, and while you could see progress on that front at some point today, the other possibilities feel to be of far greater importance. It would seem there is something you desire to do, and that pairing up with a particular individual, or entity, is what will ensure you successes between now and September. There is a sense of equality and respect here; no one is above another and two people can come together in agreement, being on the same page regarding a certain subject. Use this energy to your advantage; however, do not attempt to force your agenda on another, or you will have missed the point of this card entirely. Keep it easy, breezy, but realistic, and you will find you have the audience you need to help you accomplish a very important mission on your To-Do List. This entry was posted in Card of the Day, General Tarot, Patreon, Readings, YouTube Videos and tagged 2 of Cups, Card of the Day, Guidance Path, Reading, Tarot. What a wonderful vibe the little monsters from Joanna Nelson’s Monstarot deck are giving off today. I truly hope we see this playing out on many levels. Balance and harmony feel like the theme of the day, and, of course, seeing it in one’s relationships is at the top of the list. There are those who ALWAYS want to associate this card with love relationships, but it is so much more. We are another day past Mercury’s second retrograde of the year, so, yes, it is sort of ok to maybe go on that first date, but do not rush to commit just yet. 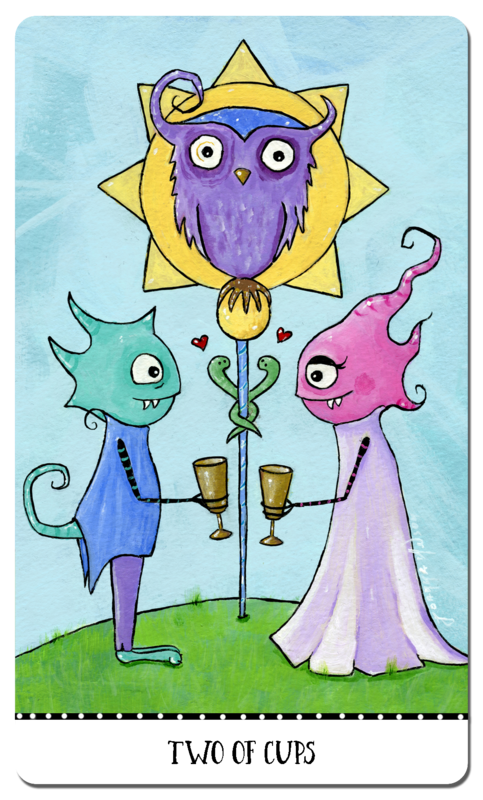 Today’s 2 of Cups is more about the balance in relationships of all kinds. Bringing two sides together, who may not have previously seen eye-to-eye, and perhaps through an equal give-and-take, bringing them together in some form of harmony where they are finally on the same page. This would be a major achievement indeed. 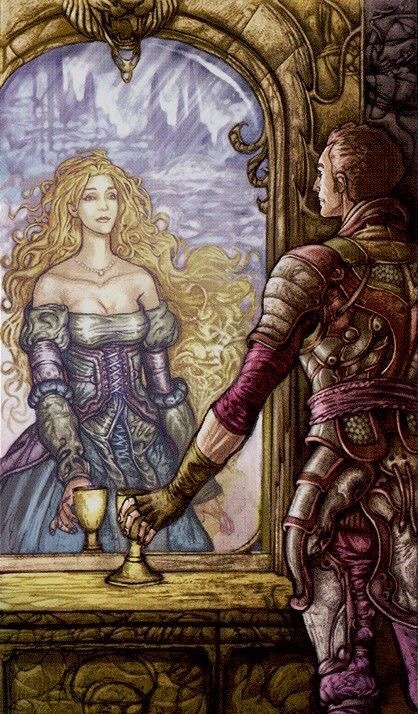 The 2 of Cups reminds us of the balance needed between giving and taking, the respect which one must show another, and that equality which all deserve. We really need look no further than the recent Starbucks’ controversy to see this card in action today. This entry was posted in Card of the Day, General Tarot, Patreon, Readings, YouTube Videos and tagged 2 of Cups, Card of the Day, Guidance, Path, Reading, Tarot. And, here it is! I know this is one of your favorite cards, and everyone always thinks love is going to come knocking at the door when they see it. Truth is, it just might do that. But, should you open that door? Mercury, after all, is retrograde, and old lovers and friends like to show up unannounced, whether their presence is welcome, or not. Give careful consideration to any of these occurrences, should they happen, for the likelihood of it being sincere is rather slim. This also applies to that hottie you hook up with at the office Christmas party tonight. Take it as a one-night stand, and do not try to make it into a long-term commitment. Chances are it will fizzle in no time. No need to update your holiday shopping list. As soon as I saw this card here, the word honor came to mind. In life, we have many types of commitments, and what I am feeling and hearing right now, is that everyone has a commitment to something, or someone, which they need to honor. It could be to your boss, your landlord, your family, a friend, a client, you get the idea. But, by fulfilling this commitment right now, you will feel much better about yourself, and this seems to be a necessary step toward your future. This entry was posted in Card of the Day, General Tarot, Love and Finance, Patreon, Readings, YouTube Videos and tagged 2 of Cups, Card of the Day, Guidance, Path, Reading, Tarot. What a wonderful card for today! We are only two days away from the Venus-Jupiter conjunction, and it is highly likely you will find love and relationship aspects being highlighted at this time. Both of these planets are in passionate Scorpio, bringing a little more sizzle to any partnership which may be on your mind. Also, today is the final trine between Saturn and Uranus, and good things await those who have put in the work, in order to reap the rewards. Keep an eye on commitments and the current direction they are taking. This will have great bearing in several months. 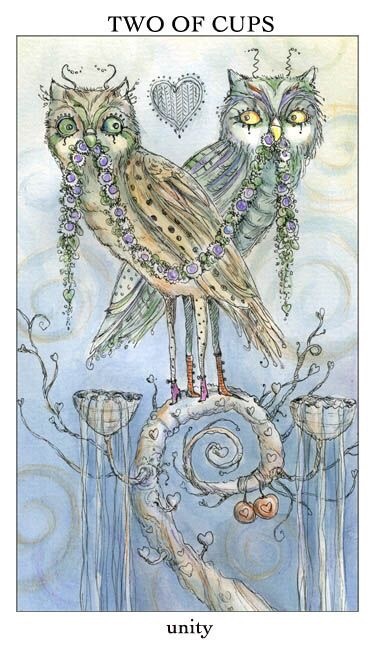 This card always serves as a reminder, that good relationships of any type, whether they be love, work, business, etc., work best when there is respect and equality. It is not always possible to see eye-to-eye on everything, but acknowledging the opinions and feelings of another, with respect, goes a long way to creating the balance necessary for a good partnership. With Jupiter now in Scorpio through November 8, 2018, you can expect to see many new people come into your life. New people equals new commitments; these can be commitments of any type, yes, even including those of the romantic variety. Wherever Jupiter is poised to bring you benefits this year, you will see that the right people appear in your world, often as if by magic, to help you bring your plans to fruition. Good commitments, of any type, require a fair amount of equal give-and-take. We may not always see eye-to-eye with another, but that’s where compromise can certainly come in handy. Should you find you are questioning your relationships, or those of another, simply because you can see they are aligning with new people, never fear. This is Jupiter at work, bringing you the best of what you need, equal partners, whether in work or love. To understand better what the next thirteen months holds, be sure to listen to my Jupiter in Scorpio Tarot Guidance (35:35 in length) on Patreon, available as part of a $5 per month pledge. Like traditionally with this card, I’ve shown a couple facing each other holding cups. Mine are a little more intimate, with him holding her at the waist, instead of touching her hand or cup. I felt this was another way to show the connection or attraction between them in a more romantic way. Some symbols I worked in – running down the side of her dress are glowing hearts, often associated with the number two, symbolizing harmony and also look like a pair of twos facing each other. On the shoulder of his coat is a spiral, also associated with the number two meaning developing awareness. For colors, I went with red and blue…showing hot and cold. Opposites, but equal and balanced. Also in the card is the caduceus in between them. I wanted to include it in a way where it seemed to fit in with the background, so decided to turn it into a constellation. It’s prominent, but blends well. 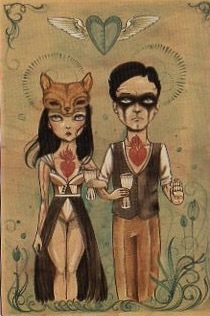 A couple toast each other under the stars, celebrating against a backdrop of shooting stars. Whether they are lovers or partners is unclear, but it is certain that he wants this to be more, as his arm reaches on her waist, pulling him to her. 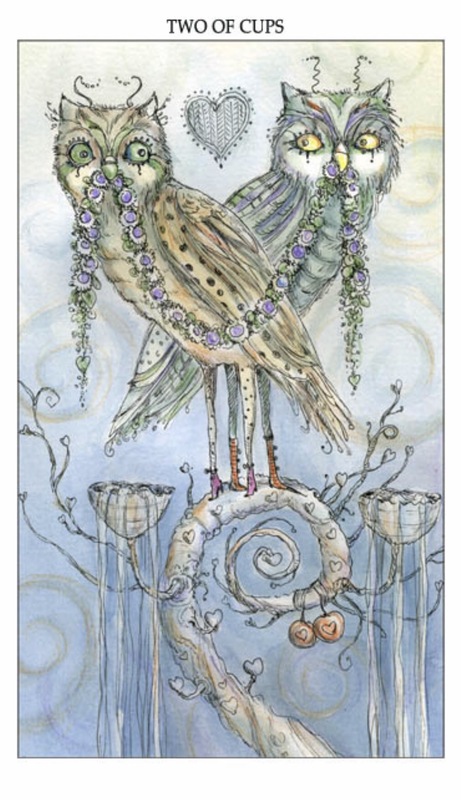 When this card appears in a reading, it is time to give love and partnership a chance. Time to come together and lower your walls. Don’t be stand offish, around others, but open and allow yourself to form a bond. Embrace connections and opportunities to experience harmony. The basis of a true, respectful, special relationship, be it romantic, or platonic, is out there waiting for you….foster it and help it to grow. Give yourself permission to feel unity and joy, to work with others and feel secure in the knowledge that someone has your back. This entry was posted in Artist, Deck Review, Featured Card of the Day, General Tarot, Readings and tagged 2 of Cups, 78 Tarot, Astral, Tarot. Unity, connection, communication, honesty, cooperation. A pair of owls, Ally and Kin, celebrate the establishment of their union. Standing together on a coiled branch, they hold either end of a garland of harmony and love. Their cups are overflowing with the waters of communication. When you meld with someone else or with a new project, spiritual riches are obtained and lessons are learned. Confidence and certainty will open your heart to others without hesitation. Be certain you make the best choices, and communicate with clarity and truth. A troubled relationship. Unsatisfactory love. Rivalry. 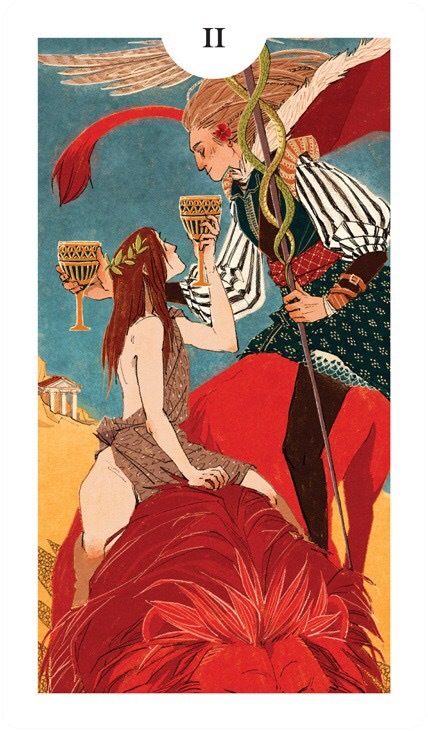 This entry was posted in Artist, Deck Review, Featured Card of the Day, General Tarot, Readings and tagged 2 of Cups, Joie de Vivre, Paulina Cassidy, Tarot.